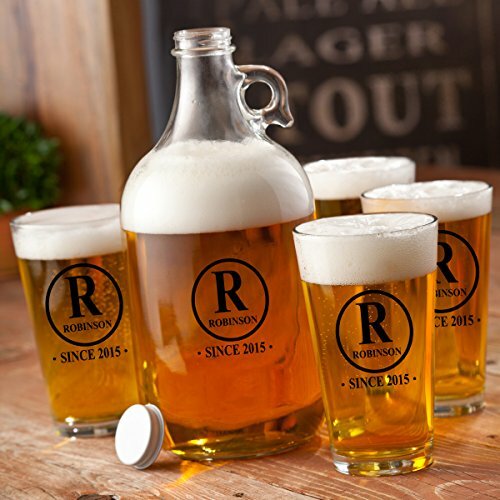 Whether you brew beer or moonshine, this is the personalized Beer printed growler set for you. Each growler can hold up to 64oz and can be personalized with name and established year in a bold, hand printed black ink. We'll even throw in a set of 4 matching printed glasses. Enjoy your efforts in style and invite a few of your friends to savor your brew or keep it all to yourself. We won't tell!